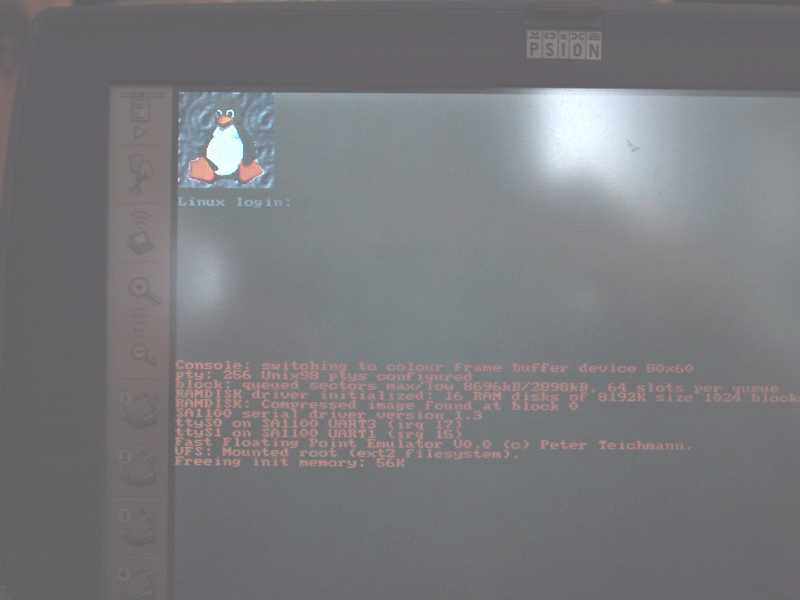 PsiLinux is the project that aims to run Linux on Psion devices such as the Series 5, Series 5mx (pro), Revo and Series 7/Netbook. Yours truly is working on the Series 7/Netbook port. Copy a ramdisk image (keep compressed) on your EPOC c: or d: disk. I use the ramdisk I found here. Linux boots ok, ramdisk loads ok, keyboard works fine. 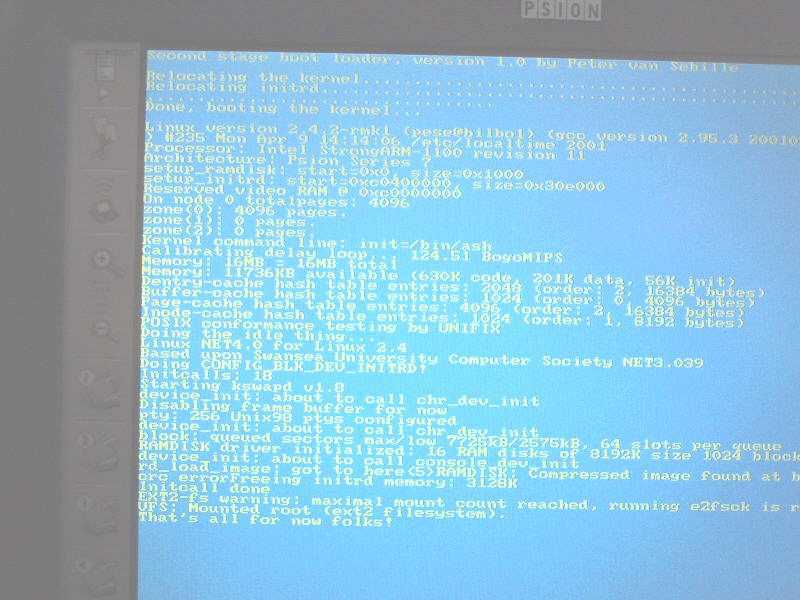 See a picture of the S7 booting Linux, here's another one that shows the frame buffer console. serial port: works out of the box, don't know whether it's complete. frame buffer: changed the sa1100 frame buffer driver to remap the video memory as setup by EPOC; it doesn't (yet) reprogram the LCD controller. timers: works out of the box, don't know wether it's complete. pcmcia (including compact flash): moderate success. I can read the cis of a CF card in both the CF slot and the PCMCIA slot (using a CF -> PCMCIA adapter). The problem is that haven't figured out how to configure PCMCIA interrupts yet. pen driver: work not started yet. Here's the latest S7 kernel image and source patches. Browse older S7 kernel images and source patches. Note that my source patches are against Russell Kings's ARM patches and Nico Pitre's SA1100 patches. Apply Russell's patch first, then Nico's patch and finally mine.